Fexaramine is a synthetic, gut-restricted, farnesoid X receptor agonist. The farnesoid X receptor is a bile acid sensor that changes gene expression networks in response to bile acids. Intestinal farnesoid X receptor is acutely activated by bile acids that are secreted into the intestine in response to a meal. This study found that when fexaramine was orally delivered, it was poorly absorbed into the circulation and so the activation of the farnesoid X receptor was restricted to the intestine. Nevertheless, mice with dietary-induced obesity had a striking metabolic profile produced by treatment with fexaramine. “We are hijacking the natural food signal in the body to trick it into burning calories and lowering systemic glucose levels. Other farnesoid X receptor-targeted drugs are readily absorbed via the gut into circulation. Fexaramine is a unique class of drugs that are not absorbed into the circulation and therefore only activates its molecular target, the farnesoid X receptor, in the gut,” said senior scientist and coauthor Michael Downes, PhD, of the Gene Expression Laboratory at the Salk Institute for Biological Studies in La Jolla, California. Downes stated that the gut is the organ that first senses food intake and signals to the rest of the body — this is a conserved pathway in humans. He explained that other gut obesity drugs block fat absorption, while fexaramine burns the excess fat. The study explained that it uncovers “a new therapeutic avenue to manipulate energy expenditure without appetite changes through intestinally biased activation of the nuclear receptor farnesoid X receptor.” Further, as fexaramine is gut-restricted, it offers an improved safety profile and achieves systemic efficacy while avoiding systemic toxicity. 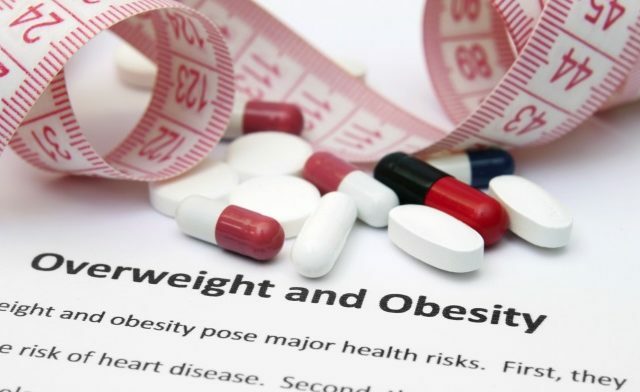 As recent research indicates that vertical sleeve gastrectomy targets intestinal farnesoid X receptor,2 fexaramine “may offer a nonsurgical alternative for the control of metabolic disease,” according to the report. “So far, we have not seen any adverse effects in mice treated with fexaramine,” said Downes. The research team hopes to develop a pill form of fexaramine to try in humans within the next 24 to 36 months. Downes explained that while Intercept Pharmaceuticals, Inc. currently has a drug that systemically targets farnesoid X receptor in clinical trials for nonalcoholic steatohepatitis (NASH), the approach of restricting activation of the farnesoid X receptor to the gut will minimize the side effects seen in that study. Fang S et al. Nature Med. 2015;doi:10.1038/nm.3760. Ryan KK et al. Nature. 2014;509:183-188.